July 27, 2017 — Which is more disruptive to a plant: genetic engineering or conventional breeding? My interest in GE crops stems from my desire to provide more effective and sustainable plant disease control for farmers worldwide. Diseases often destroy 10 to 15 percent of potential crop production, resulting in global losses of billions of dollars annually. The risk of disease-related losses provides an incentive to farmers to use disease-control products such as pesticides. One of my strongest areas of expertise is in the use of pesticides for disease control. Pesticides certainly can be useful in farming systems worldwide, but they have significant downsides from a sustainability perspective. Used improperly, they can contaminate foods. They can pose a risk to farm workers. And they must be manufactured, shipped and applied — all processes with a measurable environmental footprint. Therefore, I am always seeking to reduce pesticide use by offering farmers more sustainable approaches to disease management. We can use CRISPR-based genome editing to create a “targeted mutation” in a susceptibility gene. A change of as little as a single nucleotide in the plant’s genetic material — the smallest genetic change possible — can confer disease resistance in a way that is absolutely indistinguishable from natural mutations that can happen spontaneously. Yet if the target gene and mutation site are carefully selected, a one-nucleotide mutation may be enough to achieve an important outcome. Early approaches to engineering virus resistance in plants involved inserting a gene from the virus into the plant’s genetic material. For example, plant-infecting viruses are surrounded by a protective layer of protein, called the “coat protein.” The gene for the coat protein of a virus called papaya ring spot virus was inserted into papaya. Through a process called RNAi, this empowers the plant to inactivate the virus when it invades. 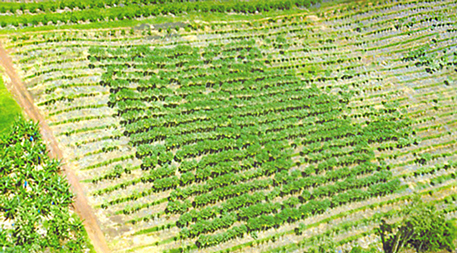 GE papaya has been a spectacular success, in large part saving the Hawaiian papaya industry. Through time, researchers discovered that even just a very small fragment from one viral gene can stimulate RNAi-based resistance if precisely placed within a specific location in the plant’s DNA. Even better, they found we can “stack” resistance genes engineered with extremely modest changes in order to create a plant highly resistant to multiple viruses. This is important because, in the field, crops are often exposed to infection by several viruses. These snippets and the plant defenses they trigger were part of our diet long before genetic engineering was invented. The inserted genetic material comes from viruses that infect plants, not mammals. We are inserting extremely limited, incomplete fragments of the virus’s genome. These viruses — and so these molecules — are much, much more abundant in naturally infected crops (which we eat all the time) than in GE crops. Microorganisms can often overcome plants’ biochemical defenses by producing molecules called effectors that interfere with those defenses. Plants respond by evolving proteins to recognize and disable these effector molecules. These recognition proteins are called “R” proteins (“R” standing for “resistance”). Their job is to recognize the invading effector molecule and trigger additional defenses. A third interesting approach, then, to help plants resist an invading microorganism is to engineer an R protein so that it recognizes effector molecules other than the one it evolved to detect. We can then use CRISPR to supply a plant with the very small amount of DNA needed to empower it to make this protein. Editor’s note: The views expressed here are those of the author and not necessarily of Ensia. Understanding the science of the activity is not the same as understanding the risk of the activity. For example. A carpenter may understand the principles of building a roulette table. This 'expertise' in building a roulette table is not 'expertise' in the calculating the chances of 'winning' or 'losing' at the table. Another example, a worker may understand perfectly how to make a deck of playing cards without knowing anything about how to calculate the probablilities of being dealt a royal flush. This author shows no particular understanding of risk. you don't know what a 'bezumpt' can do. Humans are playing with a fundamental force of the universe like a child may play with a nuclear weapon. It may not go off 27 out of 28 times or 999,999 times out of 1,000,000 but it will go off and then the game of life has ended. Here is a link to an article that explains the differences in knowledge better than I can. and here's another site discussing the precautionary principle, and risk of ruin in the GMO context. Superb article! Concisely educational. I grew up working summers with my maternal grandfather on his farm. With a degree in agricultural biology from the Univetsity of West Virginia from back in the early 20th century. He knew that this day of GE would arrive one day and he was rooting for it. The question that in and my wife and I and our 5 children and their spouses and our grandchildren have is how do we begin to roll back the insane nonGMO juggernaut? We and many people that we know would almost immediately reach for food labeled Proudly GMO for the reasons of less pesticide use, healthier product, often higher nutrition conferred, etc. But how do we begin to make traction against this irrational and pervasive "frankenfood" soundbite? First, let me say that scientists like me, who see value in the wise use of genetic engineering (GE) of crops, are equally concerned about food safety and other issues of risk, so we appreciate the concerns of critics. And, having taken a careful, in-depth look at the rather massive scientific literature on GE, most experts have concluded that there is no evidence of novel, intrinsic risks from GE. This scientific judgement started appearing in peer-reviewed papers as early as the 1980s, so this seems to be a well-established scientific finding. Risk is often understood to be the product of hazard times exposure. Addressing the “exposure” factor in this relationship is easy: If a citizen wishes to eliminate their dietary exposure to GE crops, s/he can do so by eating non-GMO foods, and I support that choice—not for scientific reasons but for social reasons—to support the food choices of all citizens. As far as the “hazard” factor, it is worth repeating that, after close to four decades of research, there is no validated evidence of novel, intrinsic risk to food safety resulting from GE, nor is there evidence of a unique and intrinsic biophysical or chemical change to DNA as a result of GE. This is why thinking of GE as analogous to word processing is useful (see Part 1 in http://www2.ca.uky.edu/anr/Biotech/biotech.htm). Of course, a hazard can be introduced through GE, just as a hazard can be introduced through conventional breeding. However, many scientific organizations have carefully evaluated the hazards of GE crops and have reach essentially the same conclusion--that there is no novel, intrinsic risk from GE of crops. Our National Academy of Sciences, as well as other prestigious scientific organizations worldwide, state that risk should be evaluated based on the particular features of new plant variety, not on how genetic changes were made. 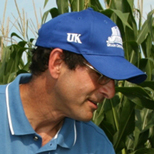 •	Consumption of Genetically Engineered (=GMO) Crops: Examples of Quotes from Position Papers of Scientific Organizations https://kentuckypestnews.wordpress.com/2015/03/31/consumption-of-genetically-engineered-gmo-crops-examples-of-quotes-from-position-papers-of-scientific-organizations/. One of the things I find to be most important is that no one has proposed a scientifically validated mechanism for how GE would introduce a novel, intrinsic risk to food safety. I respect that some people will continue wishing to avoid eating GE crops, and I support that choice. Everyone should feel safe in their food choices. However, for the rest of us, at some point in a risk assessment, good scientific practice calls for a reasonable mechanism of hazard to be hypothesized and, of course, carefully and rigorously tested. Since no such validated mechanism exists in the scientific literature, most scientists accept the conclusions of publishing experts that there is no novel, intrinsic risk to food safety from GE crops, and that each new plant variety must be evaluated for its own particular risks and benefits. Yes, there are concerns with respect to GE, but the possibility of uncharacterized, speculative risks to food safety is no longer a convincing argument to most experts. This is not wishful thinking—this is simply what peer-reviewed scientific evidence shows. If it were not so, I would be the first to say so, but my commitment, and my obligation, is to report credible science findings to the public. This is simply what the science shows.